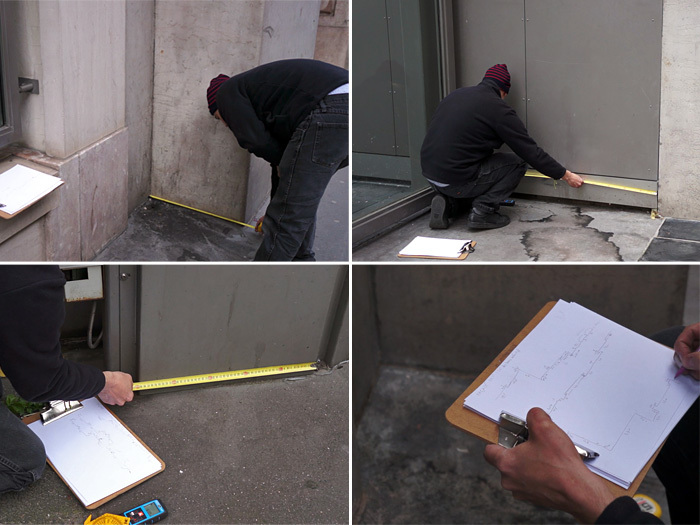 Périmètre au Sol is the exact measurement of the line separating the public space from the private space around the Ministry of Culture building on Saint Honoré Street in Paris. 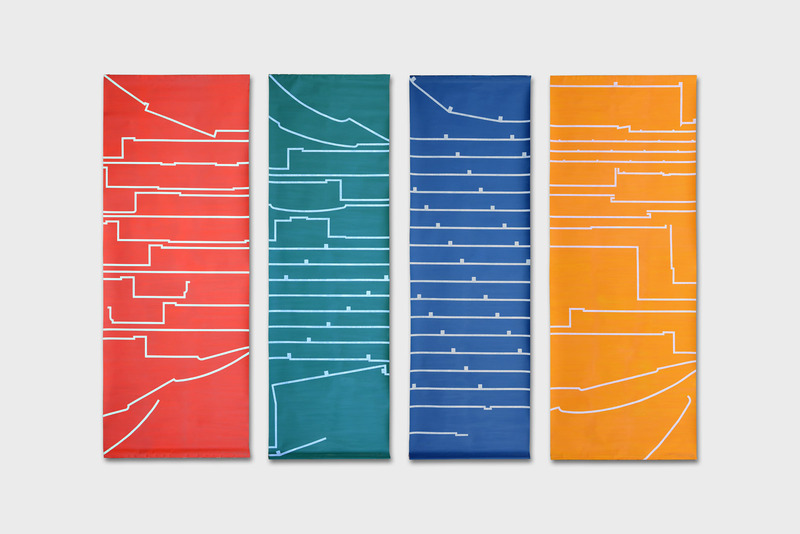 I drew the generated line on four big papers (3,70 m x 1,40 m), each one representing one façade. 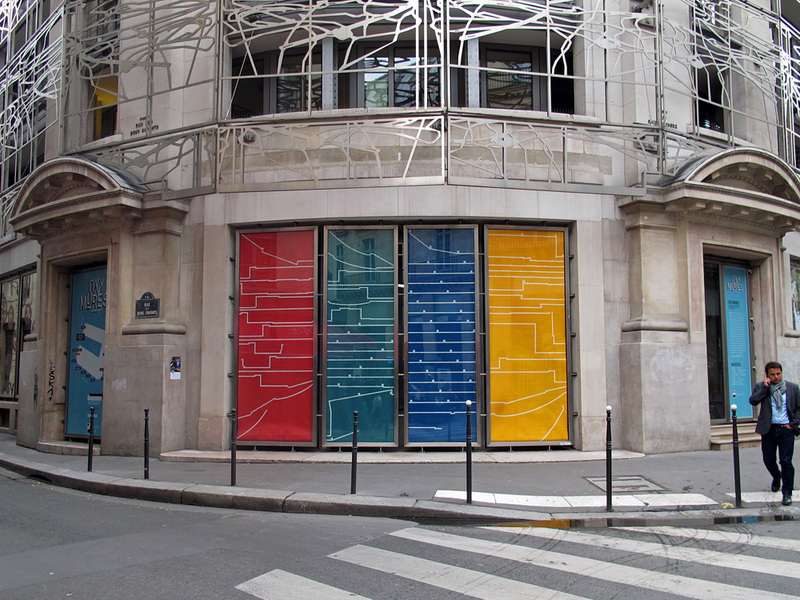 The color code I used is two warm colors for the South and West façades and two cold colors for North and East.